Hello my wonderful readers, God bless you. I wanted to give an update on why you are seeing so many reblogs all the time instead of fresh content for this blog, Gaming and God. I’ve done some thinking and looking over why I write, what kinds of articles/interviews/reviews etc. I do and I came to a few conclusions and renewed my vision for this website. I will be reducing the amount of original content here and focusing only on my endeavors on Geeks Under Grace and Beneath The Tangles. 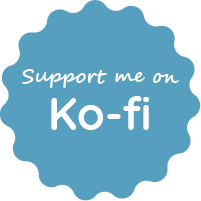 I am thankful to God for my start here, but now I am seeing more and more the push to be a larger part of these two groups whether through conventions, Facebook, or even funding projects they are doing. As this Christian geek movement grows, there are more opportunities to bring the gospel to large conventions like Comic Con, SuperCon (here in Miami, FL), Facebook and other social media. It’s amazing how quickly things are moving, and we are just getting started. At first, I saw Gaming and God as a place where I can share my heart on what I have found to be correlations and references in gaming media with Christianity, God or biblical values. 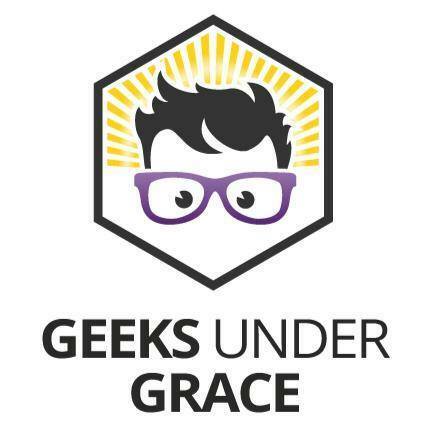 When I began writing here, I discovered Geeks Under Grace and Beneath the Tangles and was first given the opportunity to write for GUG and later on did a guest post for BtT. The owner of BtT offered me a bi-weekly column on his anime blog, and I titled it Gaming With God. As I continued to write for both sites, it became apparent that I couldn’t constantly update this blog with. Here, I can write however and whenever I choose, but the other two require certain deadlines that I cannot miss or it will disrupt the flow of the blog/site. Because of these time constraints and other business that life brings (nothing bad, but just things like marriage, church, reading, my relationship with God, work, chores, errands, groceries, a side business, etc) it gets very difficult. On top of the fact that my audience here is rather small, compared to my other places of writing where I get many more views, comments and interaction with the community. My purpose for writing has always been to show people who God is, His love and salvation through Jesus Christ, using my interests of video games or anime as the entry point. As I grow as a writer, individual and follower of Christ I see that what I’m writing about has the potential to transform lives in a positive way, so I am doing my best to reach out to larger groups where I can connect with and communicate that message to a larger crowd. God has been opening doors for me to share my articles on places like Theology Gaming and other smaller sites that want me to write for them. Let’s see what God does with all of this, and I encourage you to please follow me on Geeks Under Grace and Beneath The Tangles (please see the links to your right). I will be posting poetry or Reflections every now and then, and monthly will have my Treasure Chest column up so stay tuned for those. God bless, and let me know what you think of all this in the comments. I am looking forward to your opinions! Hi Lady_Teresachristina thanks for following, reading and commenting on my post, I do appreciate it 🙂 We definitely need a Christian presence in the geek world especially in cons where it’s where they all gather (in the thousands!). I personally have done panels at cons to audiences, they are free and just take time to setup and all that but it’s a lot of fun. God has done some good stuff at those panels. You can search “panel” to the top right of my blog and you will see my posts on those. Yes, Geeks Under Grace are planning on going to cons but nothing is official as of yet. We are making a presentation we can use at panels for the different staff members that want to do it, and are planning on having a booth as well so we can evangelize, speak/pray with con-goers and pass out material. Like you said, not in a preachy way but from one geek to another sharing the love of Christ, bottom line. For you, I would suggest praying and asking God what you could do in your sphere of influence. You have a blog so that’s one big way, and of course replying to your comments. Going to cons, another way would be to do a panel since they are free. Find your local con, look for their panel section and it’s a simple application or email away from you having a time/day/room and being able to speak on whatever geeky topic you want. Mix a geeky topic with a Christian perspective and you have a panel! I hope I didn’t write too much. If you do plan on actually doing ministry at a panel, please email or message me, I and Geeks Under Grace would love to help in anyway we can. Thank you Samuru! I will be attending my local con in September cosplaying as Sakura, and looking for ideas towards my goal. I think you’ve given me some tracks to run on, but I am going to pray about it much more. I have so many ideas now after reading your comment that I just need to pray through. Again, thank you! Keep being a light in the Geeky world! If God does direct me in this, I’ll tell you what he says! Thanks so much 🙂 Yeah, I read your blog post about you liking Sakura, she’s a great character to cosplay. Yeah, there’s a lot of directions you can go in, it’s honestly so easy and open to just be a light there because hardly anyone is doing it and the geek community is open to just about anything since…we are geeks haha. Just choose one route, focus on it, and go for it. You could pass out bibles (Game Church does that) or just pray for people or just invite them to your blog. Whatever you do, God will back you up and you will leave with testimonies of lives changed.